It’s that time of the year again: Thanksgiving. Thanksgiving isn’t only a good time to eat some turkey though, you can also spend tens of thousands of dollars in completely overcrowded stores. If you are smart however, you save some money without getting run over in the target parking lot by shopping for some photography goodies online. 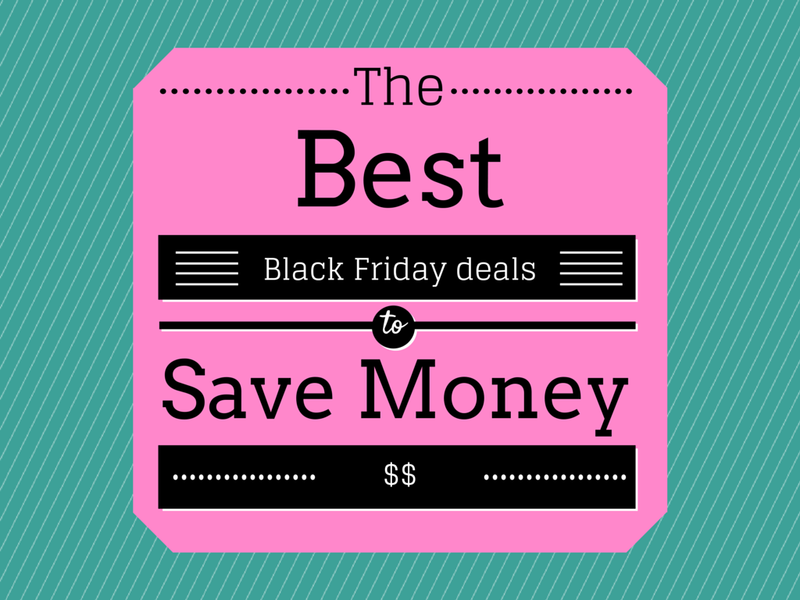 We put together the best Black Friday / Cyber Monday deals for you. The list will keep updating as deals are we roll. Canon Eos T5i/150$: with 18-55mm kit lens: The Canon Eos T5i is a great camera for everyone who wants to get into photography. You can currently save 150$ on B&H. Nikon D3200/280$: The Nikon D3200 is, like the Canon T5i, a great camera for aspiring photographers. You can save 280$ on B&H. Sony alpha a5000/200$ with 16-50mm kit lens: The Sony alpha a5000 is a great mirrorless camera and since you can pick one up for 200$ less than usually, you get a pretty sweet deal. Canon Eos T5i/200$/ The Canon Eos T5i can be bought on Amazon for 200$ less! Sony HDR-AS20 HD Action Cam/100$/The Sony HDR Action cam is currently almost half the price. GoPro hero 4 silver Edition/32gb card+50$ gift card: Amazon currently sells for the GoPro hero 4 with a 32gb memory card and a 50$ gift card. Hasselblad Stellar/2300$: The Hasselblad stellar is on sale on B&H for 2300$ (!) less than usually! Samsung NX Mini/100$: Samsung’s smart camera is off by 100$ on Amazon! Blackmagic Pocket cinema Camera/ One free lens worth up to 599$:When buying a Blackmagic’s Pocket cinema camera on B&H you can get a free lens that’s worth up to 599$ for free! Nikon Cameras/various savings: When buying a Nikon camera and a speedlight or a lens together you can save some nice chunks of money. For more information, look over here. Sony alpha A7/400$: The Sony alpha A7 (which is a stellar camera, by the way) is off by 400 $ on Amazon! Olympus OM-D E-M5/400$: Like the Sony alpha A7, the Olympus OM-D can be picked up for 400$ less! Samsung NX300M smart camera/250$: The Samsung NX300M, also referred to as “the selfie cam” is currently 250$ cheaper. Fujifilm X-M1/200$: The Fuji X-M1 is currently off by 200$! SLRMagic 25mm T0.95/400$: The 25mm T0.5 is an incredible lens, especially for video applications. You can pick one up for 400$ (!)less. Canon 17-85mm/300$: The Canon 17-48mm lens is currently on sale with 200$ off! Pentax Flashes/70$: Pentax flashes are up to 70$ cheaper on B&H today! TorchLed on- camera light/ 50$: On- camera lights are great for video stuff, the TorchLed is 50$ cheaper! DJI Phantom Quadrocopter/160$: The DJI Phantom Quadrocopter series is currently available with savings of up to 160$. Apple MacBook Air 11,6″/100$: Mac Books are incredibly useful tools for retouching and tethering, you can get yourself one for 100$ off. Syrp Motion Control time lapse device/200$: If you are into shooting time lapses, you can save 200$ when buying a motion controller! SanDisk Memory Cards/60$: You never own enough memory cards. Ever. So why not save up to 60$ of the by buying them now? Lollipod Smartphone Tripod/9$ phone adapter: The Lollipod is a tripod for your smarphone- useful for selfies. WD 3TB Elements External hard drive/22$: With hard drives, it’s kind of like with memory cards: you never own enough of them! WD 1TB Elements External hard drive/20$: The smaller brother of the WD 3TB is currently on sale for 20$less. WD My Passport 6TB Thunderbolt External hard drive/200$: The WD My Passport 6TB is 200$off on B&H! 16gb Eye-Fi SD card/40$: Amazon sells the 16gb Eye-Fi SD card for 40% (40$) off. SanDisk Extreme Pro 32gb 95mb/s/159$: SanDisk’s Extreme Pro card is off by 159$ dollars on Amazon! Sony 64gb Class 10 SD Card/20$: If you’re going for a cheaper SD card, the Sony 64gb might be the way to go for you. If you buy it today, you’ll be able to save 20$. Wasabi Power 2 GoPro batteries and dual charger/18$: The Wasabi Dual battery kit is on sale on Amazon for 18$ less! Mac Pro 6- core/500$: When buying a Mac Pro from B&H, you can currently save 500$ instantly! SlrLounge products/25-33%: Were you thinking about getting the SlrLounge Preset system? Or perhaps the Photography 101 course? Now would be a great time for that! The discounts range between 25% and 33%. Head over to their site to get a discount code. Photigy courses/50% The Photigy store has a discount of 50% (!) from the 28.11 to the 01.12. Joe McNally training courses/25-40% Joe McNally offers a discount from 25-40%. I would recommend “the language of light” because it is one of the best courses out there and you can currently get it for 40% off. Kelby One/ various discounts between 25-50%: Scott Kelby currently offers different deals on his site ranging between 25% and 50%. Adobe Creative Cloud/10$ per month: Adobe currently offers 10$ off/month on their creative cloud plans. Want to get Photoshop? Now is the time. Retouching toolkit/ 25%: head over to their site and use the coupon code ‘BLACK’ to get 25% off. Happy Savings! We’ll keep this page updated with the latest deals so you might want to check it later again because something else might have been added. Paul Faecks is a portrait- and fine art photographer, based in Berlin. Lately, he has started his own website, Learn Studying.com, that helps you be more productive and procrastinate less.